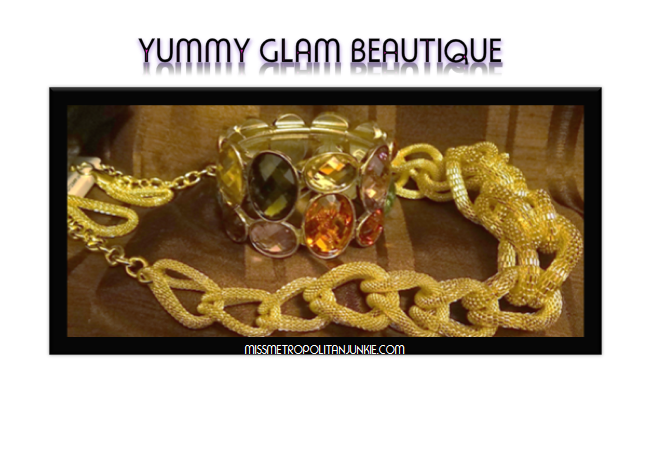 Link necklace w/matching earrings or an extra yummy colored stone bracelet. NYC girls love costume jewelry. Feel glamorous on any budget. Sparkle and glow like a rich girl. Live like the young and fabulous even if you’re broke.